Posted November 11th, 2015 by admin & filed under Focus On Health. 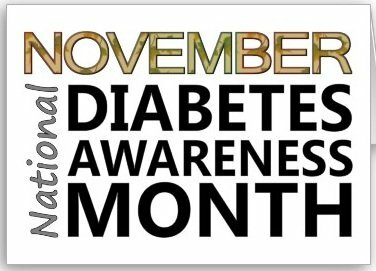 Every November, Diabetes Awareness Month is observed to bring greater awareness and education about the disease and its’ effect on millions of people young and old. This year the theme is “Everyone has a role, what is yours?” As an occupational therapist and hand therapist, I have a role in educating my patients on how symptoms of diabetes can affect their activities of daily living and their bodies. I am not an expert in diabetes, but knowing the signs can help me help direct my patients to the right place. For example, if someone comes in with painful hands or tingling with no reports of any kind of injury, one of the things I ask them is if they are diabetic. When diabetes is uncontrolled or diagnosed signs of frequent urination, extreme thirst, fatigue, blurry vision, or/and tingling in the hands and feet are reported. If they have any of those signs, then I know I may need to direct them to their primary care doctor. It might not be that they need therapy but need to be treated by their doctor. There are also long term effects of diabetes on the body. Besides blood pressure, heart, eyes, and kidney issues, long term diabetes can wreak havoc on the nervous system. Over time whether it’s controlled or uncontrolled, the nerves can become damaged. It’s called neuropathy and it can occur in the hands and feet. It’s when you start to have tingling, numbness, and even pain. It also usually occurs to both hands and/or both feet. In the hands, if you can’t feel with the tips of your fingers, then you tend to drop things out of your hand, or maybe you can’t feel how hot or cold something may be resulting in burning your fingers/hands. Therapy can help to educate you how to be safe in the home, how to compensate and modify activities, and can so educate you on some exercises to make sure you can stay active and independent. Sometimes people think all they have is carpel tunnel syndrome, and it may well be the case, but knowing if you have diabetes can help direct what we do in therapy so therapy can be more effective. Because who wants to be in therapy without making progress?!?! I know I wouldn’t want that! Neuropathy in the feet is also a safety concern. If you have pain and numbness in your feet, walking can become difficult. It can also be unsafe due to balance issues from the numbness. Without the feedback from the sensation of the bottom of your feet, it’s hard for your brain and body to react when you need to make a step on stairs or when there’s an uneven surface. Getting to therapy early is a great way to make sure you can stay active and exercise safely if you have concerns of pain, muscle, or joint issues. Eating a healthy balanced diet is important but exercising is a crucial aspect of managing diabetes. Another aspect of diabetes that therapy can help with is would healing. People with diabetes tend to heal slower and can be at risk for complications. Because wounds take longer to heal, there is always that risk of getting an infection. Wounds are also supposed to heal from the bottom up and the sides inward. Those with diabetes do not heal that way. Their skin are dry and they may heal from the outside without having healed from the inside. Those with diabetes need close monitoring to make sure we reduce as many of the risks as we can. With hand and wrist injuries, I do have the opportunity in working with open wounds or post-surgery. Knowing how diabetes effects healing can help me help my patients better on what they need to do at home, what are the signs to look for, and have a greater expectation of what our goals in therapy are. We can all have a role in being more aware about what diabetes is, the effects now and in the long run, and some ways that we can help ourselves and others lead a life that is healthier. We can always do more to educate ourselves and others. I hope that this has helped your understand how therapy can help you if you are dealing with some of the effects of diabetes. Was this blog helpful? Please feel free to SHARE! As always thank you for your support!